Driving a car on a highway cannot be a thrilling experience as there are not enough challenges. But when it comes to driving on ghat roads having steep turns or maybe a total off-roading experience on a hill/jungle with no proper roads is something to look out for. But off-roading requires a car which has got what it takes to survive on a tough terrain. So here are some features to look for in an off-roading car. Keep in mind that off-roading vehicles can do good even on long routes. Driving a normal sedan loaded with 4-5 pax with luggage and coming across a huge speed breaker will make you realize the importance of ground clearance. High-speed cars generally have low ground clearance to achieve stability at higher speeds. But here we are talking about off-roading which is way worse if you consider a badly built speed breaker. So you must have a high ground clearance or the chances of you surviving on off-road is really low without getting things damaged. Some SUVs like 2018 LandRover Range Rover Evoque or Jeep Grand Cherokee have adjustable suspensions to give you a better ground clearance while off-roading. This maintains lower ground clearance while driving on a normal terrain which is just perfect. The low range transfer case is one of the features that will help the car to climb steep hills easily. What it really means is, when the car is going uphill, the wheel axle is rotating at low speed and requires a high amount of torque to get the car up against gravity. In this case, high torque requirement can be served better by low range gears and not normals ones. Having such a feature in your vehicle will help in climbing hills easily. Also while going downhill low range gearing helps to ease down the vehicle avoiding much of braking. Torque is basically rotation force produced by Engine’s crankshaft. So better the torque, greater the power you get at low speeds. Like discussed in the last point that torque can come handy while going uphill. And not just that, any rough terrain would require a good amount of torque to get the vehicle running. Torque can help the vehicle get out of mudpie considering the tires have just enough grip. But do not confuse horsepower and torque as the same thing. You can read out the article to get a better understanding of both the terms. There are cars which can sense the type of terrain and decide the amount of power a car needs. Like, suppose while going downhills one has to maintain the speed and also steer through the turnings. With steep slope and sharp curves comes the issue and that is where hill descent control comes in handy. It will automatically decide how much power should be given to wheels and restricts the wheel rotation to maintain speed. This allows you to just focus on steering while not worrying about the speed. Again a useful feature in some while off-roading. These are some of the core features to look for in an off-roading car. They will club and make the off-roading experience much better. 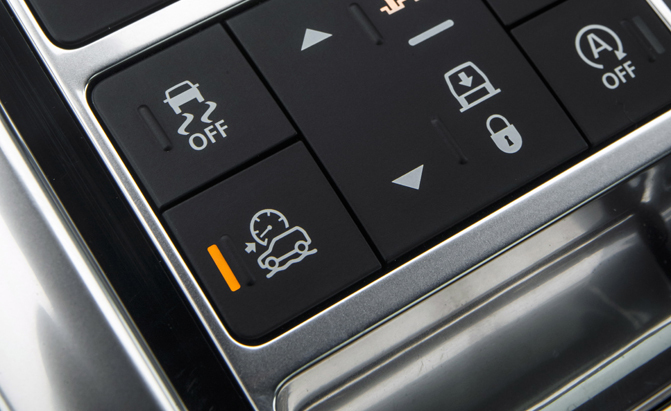 Don’t worry, these features are just to assist you and won’t steal away the adventure from off-roaders. Let us know if we missed out any features related to off-roading in the comments section below.